by Seriously Star.In NaBloPoMo.2 Comments on Do It Now! Thanks to the amazing staff at Lululemon (slightly obsessed with the brand by the way) in Jacksonville, FL for their hospitality. Here’s hoping I am able to post actual content earlier than 11:59p tomorrow. National Blog Posting Month aka NaBloPoMo is proving to be a little more challenging than I hoped, but tomorrow is another day! 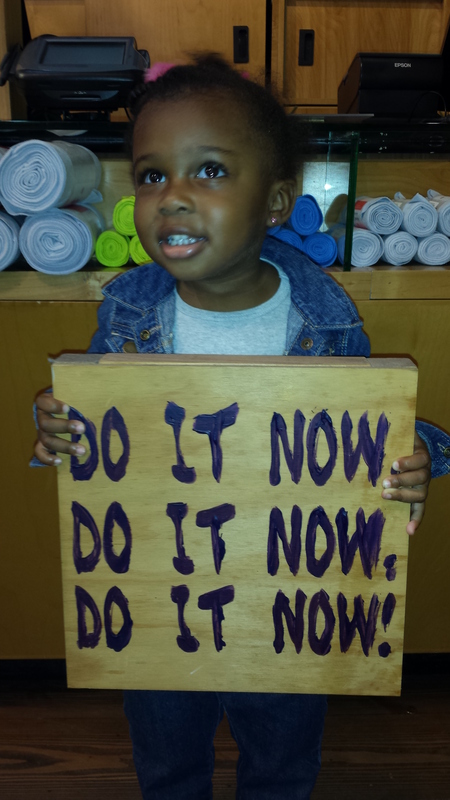 A little encouragement from my baby courtesy of Lululemon-Jacksonville, FL. Reblogged this on Special moments in my life (Amal Abdullah). Next Next post: Where’s My Check?